In October, cinemas will reveal a forgotten page of history, a page about the sisters Chodakowski – Sofia Smetonienė and Jadvyga Tūbelienė, who have committed their lives to the creation of Lithuanian state. A documentary by Ramunė Kudzmanaitė, "Chodakowski Sisters. Lithuanian Case." 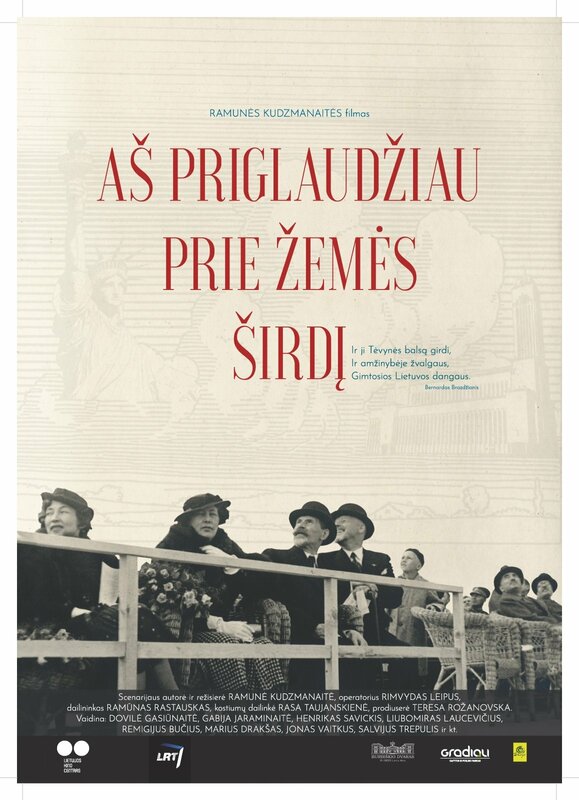 reveals dauntless courage of the women, their intelligence and the highly patriotic spirit of the interwar period, a press release fromt the Lithuanian Film Centre states. Descendants of a noble family of Chodakowski tracing back its line back to the 16th century, Sofia and Jadvyga's childhood passed in Gavenoniai manor (presently Šiaudinių village, Pakruojis district). Although Polish culture dominated in the manor, the Chodakowski considered themselves to be noblemen of Lithuanian origin, approving the Lithuanian movement with all their hearts, liaising with the characters of the national revival. Tubeliene's hands". Well-educated, speaking several languages, the sisters established diplomatic relationships, popularized Lithuania in the wider world. In Vilnius Smetonas' family house became a powerhouse of the Lithuanian revival movement. Sofia, speaking German fluently, had helped Lithuanians as translator and mediator during the German occupation. When she became the first lady her ways did not change - Smetonienė was always described as kind, and active woman. Her viability and ability to find common ground surprised even experienced foreign diplomats. responsible for the transfer of news and intelligence from Lithuania to Germany, Switzerland, and France. She was entrusted with passing over the copy of "Lietuvos Aidas" containing the Independence Act of February 16th to a German war correspondent, who secretly smuggled it to Berlin. That was how the world learned that Lithuania had declared independence. The life stories of sisters Chodakowskis take the audience back to the times of extremely important events in Lithuania's history. The atmosphere of the film is created with the help of historical film archives, Kaunas radio sound archive, photographic materials, cartoons and documentaries. Sofia and Jadvyga are performed by actresses Gabija Jaraminaitė and Dovilė Gasiūnaitė. The director is happy to have met and welcomed into the project the grandson of Jadvyga Tūbelienė, a USA citizen and financier Peter Kuhlmann. He too became one of the film's lyrical characters. "I am fascinated by the sisters' beautiful and dignified stance in the beginning of the 20th century – the period of wars, cataclysms, coups, dirt and poverty. Sofia and Jadvyga were the true first ladies of Lithuania. The activities of Sofija Smetonienė and Jadvyga Tūbelienė and their biographies give us invaluable lessons in patriotism and loving thy neighbour." – says film director Ramunė Kudzmanaitė. The film will appear on Lithuanian cinema screens on October 17th. The film is sponsored by Lithuanian Film Center, LRT, Burbiškis Manor, nature and recreation park "Gradiali Anykščiai". The three Baltic capitals will host the Baltic Film Days this week, organized for a second time.